"Bud's Blues" has additional takes of "Teapot", "Afternoon In Paris" and "Elora". Great addition to my very modest jazz Collection. Sonny Stitt has always been one of my favorites and he didn't disappoint in these 1949-50 recordings. 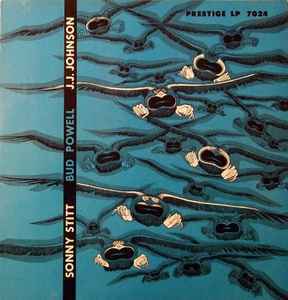 Jay Jay Johnson, trombone and Bud Powell, piano, only complete the new, but already brilliance of Sonny on tenor. (Alto was Sonny Stitt's original instrument). Additionally, Max Roach, though very humble here, is one of the all-time best on drums.. If you love the old smooth sound of Sonny Stitt, this is a must have in your Jazz Collection.